This is the High Gear SolarPod. It is a small 5.5V solar panel with a self-contained 3.7V 650mAh Li-ion battery, designed to charge all kinds of phones and gadgets. Form: A little, stylish orange-and black panel with a carabiner, it’s quite the looker. It feels just a little bit plasticky, but held up fairly well to several days of travel through mountains and swamps. Function: Charges fully in about 8 hours of strong sunlight, or 4 hours if plugged into a computers USB port. It features a carabiner to clip onto the outside of a pack, and doesn’t come off even under rough conditions and use. It has an LED on the front that indicates whether it is charging or discharging, and a set on the back that indicates how full the battery is. 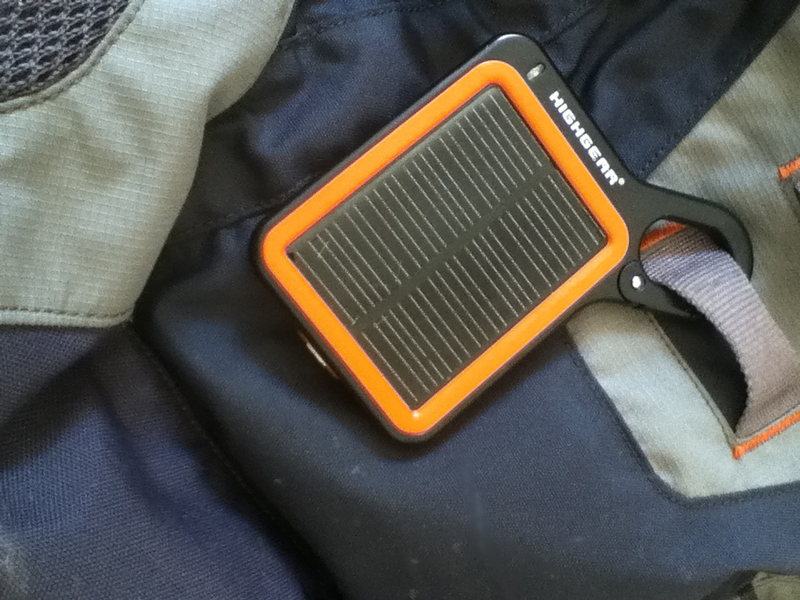 It works fairly well while riding on the outside of a pack to keep your phone or other device charged, but charging from empty takes quite a while(~8 hours). It comes with a variety of tips, but also has a USB socket port, meaning that you can use just about any type of charger that plugs into a computer. (Apple 30-pin etc) Speaking of which, the Solar Pod does not charge the iPad and similarly sized tablets. It just doesn’t have that much output. But for GPSs(GPSes? GPSii?) and phones, it works very well. When the charge is getting low on the device, instead of stopping flow, the Solar Pod keeps trying to charge, and losing power, then attempting to charge again. This causes the phone to light up and vibrate every time the charging recommences. The point is that it will run down your battery to a level below that of what your phone originally was. This can be mitigated by regularly checking on the charging status, but can cause a problem if you forget. All in all, this is a very good little charger. It probably won’t replace your wall-charger, as it doesn’t hold a huge charge or during cloudy weather, but for emergency power or topping off, it works very well. This is the Boker Rescom. It is a very small, (4.5″ open) light,(2.4oz) simple extrication tool. Form: The handle is a simple shape, identical to the Subcom lineup. It comes in black and dark red. It has little notches running around the edges and back of the blade for grip, and the handle is covered in a stylish cover of nylon scales. The blade is an angled AUS-8 steel cutter with serrations running the length and ending in a sharp hook. There is a sturdy belt-clip on the back, and a lanyard hole on the tail end of the grip. Function: The Rescom works very well for its intended purpose: slicing seatbelts. It doesn’t do much else, but it’s small, clips anywhere, and is always handy when you need it. The blade opens very smoothly, the frame-lock is easy to manipulate, and the serrations and hook do their duty without complaint. The thumbstuds are ambidextrous, and the pocket clip is reversible, so you can clip it to a backpack or belt. Cons: The knife is just a little on the small side, it can be difficult to maintain a grip on and use any force, especially when used with gloves. In addition, the blade doesn’t feel like it has any kind of coating on it whatsoever, and rusts extremely easily when exposed to sweat, blood or other fluids. 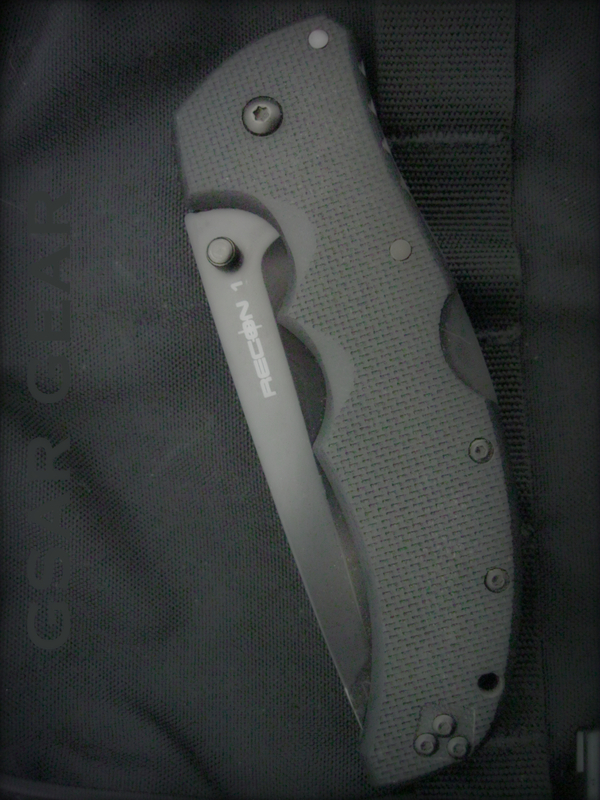 Over all though, this is a great compact tool that stays out of your way until you need it to slice through seatbelts or webbing. 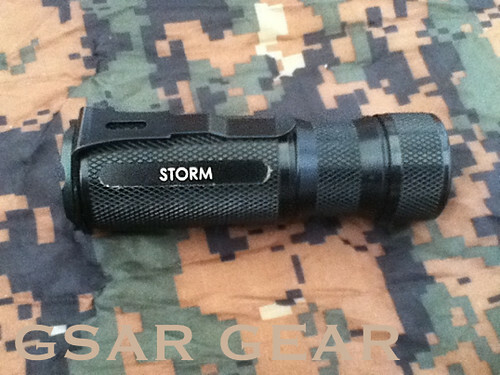 The Sunwayman M20C R5 is a high-powered, easy-to-use flashlight. It is powered by two CR123s or a 18650 battery, with excellent output regulation and efficiency. The M20c is powered on by your standard tailcap click switch, easy to use with gloves, but is slightly recessed to prevent accidental activation. You can cycle through these modes with their unusual “Magnetic Sensor Control” system, a rotating magnetic band near the bezel of the light. The light throws very well, with a smooth beam pattern and decent flood, clearly outlining human figures out past 200 meters. My only issue with the light is the smoothness of the handgrip. It can be hard to keep a hold of, especially when covered in blood or oil. This is mitigated somewhat when used with their included tactical ring, but more knurling on the grip would be much appreciated. A flashlight with a tendency to leave your hand can be a major problem in the field. 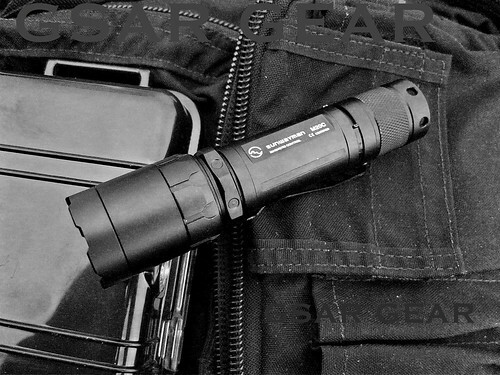 Other than that, the M20C is an excellent flashlight, and with minor revisions, would be perfectly suited for use in SAR. MXI M550 Encrypted USB drive review. are very time consuming and not standardized, and with unsecured flash drives, any confidential or sensitive mission data can easily be accessed if it falls into the wrong hands. MXI offers a quite strong solution to this problem with their hardware based encryption drive, the M550. It is compact, narrow enough to not block adjacent USB ports when plugged in, but not so thin as to feel flimsy or breakable. It is extremely solid, inside and out. It has a tough magnesium enclosure which is crush, water and dust proof to IEC60529 IP57 and MIL-STD-810F. That’s pretty impressive for a flash drive. There’s no rattling or any give whatsoever between the sheath and the drive itself, it’s just a really compact, solid drive. The M550 has integral hardware based encryption, running off of their FiPs 140-2 Level 3 validated processor, automatically encrypting any and all data, applications or digital identities placed on the drive with AES-256 bit algorithms. The M550 can handle multiple PKI Digital identities and RSA SecureID soft tokens as well. 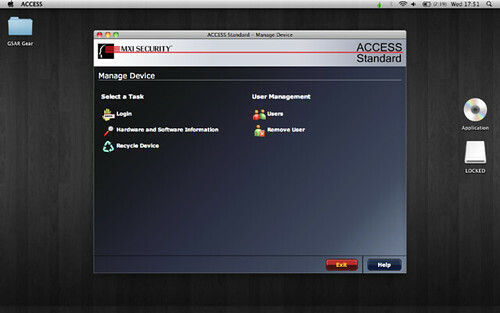 MXI bundles their own ACCESS software with it, including antivirus programs, partitioning and user account administration software, and all kinds of configurable security options. Because all this takes place on the drive itself, with no need for drivers or software installs on the individual machines, it is far less prone to being compromised and can be used cross-platform with no problems. 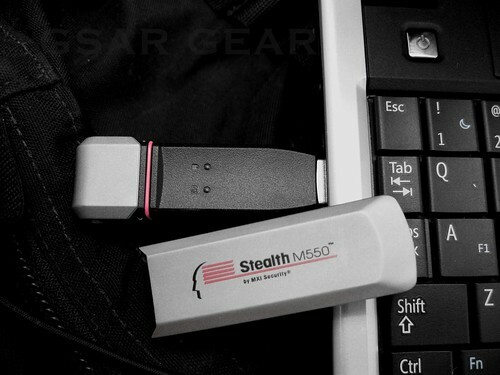 The MXI M550 Stealth Drive is a secure, rugged, feature-rich flash drive, and has now proven itself in the SAR field. I would highly recommend getting these into the hands of field teams, they are secure, simple, rugged, and reliable. 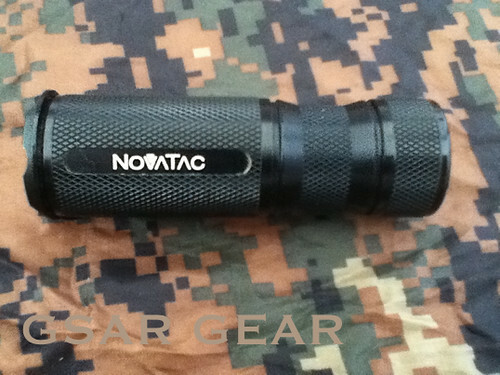 The Novatac Storm is a very compact and versatile flashlight. Mine is still running fine after rigorous testing and daily carry for about a year. 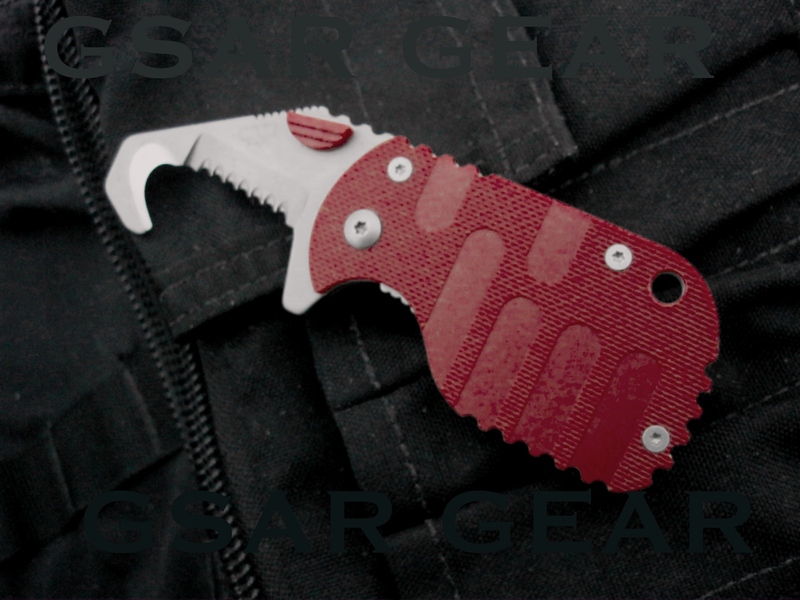 It is small enough to easily fit in a pocket, bright enough for almost any job you throw at it, and rugged enough to live through just about anything. 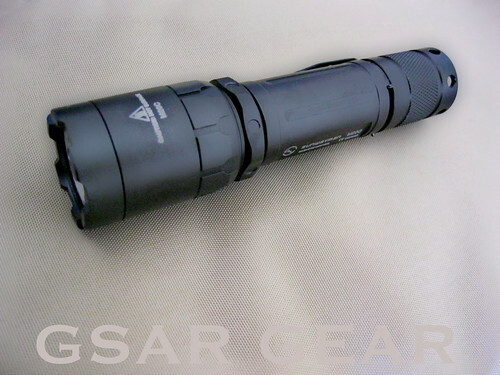 It is manufactured from black anodized aluminium, and covered with small diamond knurling from head to tail. The pocket clip is nice, holding the light securely in a lens-up position. The lens is AR coated polycarbonate, and extremely sturdy. It is also surrounded by a crenelated bezel for protection. The tail clicky is nice, but doesn’t have much travel and is ever so slightly recessed into the tailcap. It makes it possible to tailstand the Storm, but also makes it more difficult to switch the light on, unless you’re holding it in a ‘syringe’ type grip. It weighs in at approximately 66.8 grams, unloaded, and 83.2 grams with a CR123. The Storm runs on one CR123(included) or equivalent. Runtimes can be found here or here, courtesy of light-reviews.com. Decent runtime overall, and pretty bright. The Storm has three settings by default, though it is programmable. 1. A primary mode, at a very bright 120 lumens. ½ hour runtime. 2. A secondary mode, at 30 lumens. 4 hour runtime. 3. Low power mode, 0.3 lumens. 240 hour runtime. 3. And a disorienting/signal Strobe mode. It is also hackable to program your own brightness and control settings, as shown here. Tail-switch difficult to use with gloves or cold fingers. The tailcap only permits a bezel-up type carry. Medium-to-low battery life, compared to other similar lights on the market. But overall, this light is a very nice compact bright flashlight. This knife is a rugged, reliable cutter. Weighing in at 5.6 oz, with a 4″ blade and a 5 1/3″ handle, it’s a serious heavy-duty knife. -Large cutting blade available in several different configurations. The Recon-I is extremely solid and well-balanced. Extremely sharp right out of the box. The blade is manufactured from AUS-8A Stainless and finished with a nice black coat, and doesn’t scratch too easily. It holds the edge very well, not showing marks even after cutting aluminium and the other hard materials. The teflon starts to flake away after about a year of hard use, but the blade is still in great condition, and the tip handles all sorts of prying and puncturing jobs without issue. I have the partially-serrated tanto blade, and it is perfect for all kinds of situations. It cuts very smoothly and evenly through all materials, and provides a nice long cutting stroke, thanks to the 4″ blade. The Tri-ad locking mechanism is extremely solid, if a little slow to open, and holds the blade very securely until released. It also helps retain the blade in the closed position to prevent it from opening accidentally. The mechanism also makes a satisfying ‘click’ when engaged, providing audible feedback that the knife is not closing until you decide it should. The lock release on the spine requires a good bit of pressure to depress, which is good, considering its location. The Recon-1 requires little maintenance. I’ve used mine in deserts, underwater, forests, and urban situations, and it doesn’t rust or get jammed up inside. A little oil and a rub-down every once in a while makes it run even more smoothly. 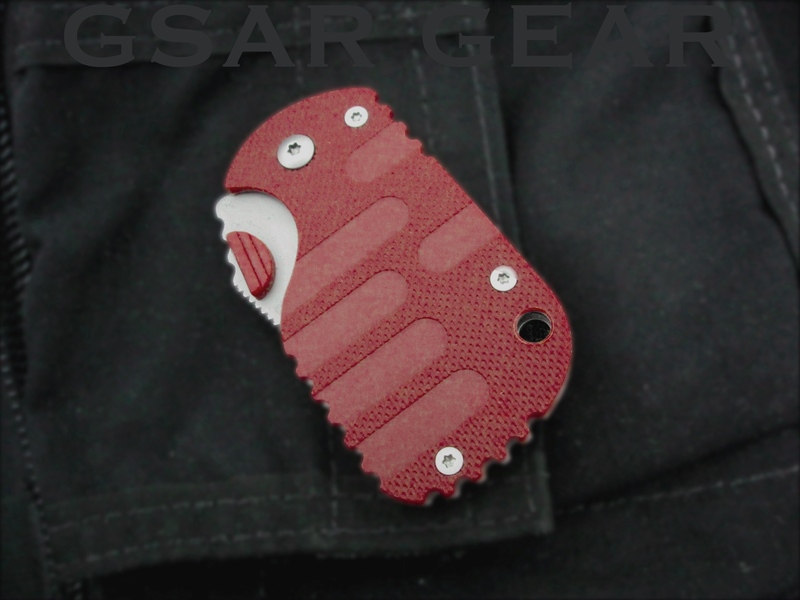 The reversible pocket clip is very tight, and will not fall off of whatever you have it clipped onto accidentally. The clip is also much smaller than most, it doesn’t interfere with your grip or cause blisters over long periods of time. It holds the knife slightly higher than most if you’re pocket-carrying it, and people will probably notice you have it there. It rides well in a pocket, just not very discretely. The G-10 scales are extremely grippy, and the Recon-I will not slip out of your hand accidentally, even when covered with oil or blood. The scales are rough, but the handle is nicely contoured and is is quite comfortable in either hand. As you can see, this is a large, no-nonsense, cut everything knife. It might scare people at your local command post, especially in the more aggressive models, but it does what is required of it, and will last a long time. The Gerber Suspension is a stylish, compact and capable multitool. At the first sight of the ‘web’ design, the Suspension appears very nice, and almost fragile, but once you pick it up, you feel the familiar solid heft of Gerber tools. The ‘web’ is reinforced, and won’t break under considerable pressure and drops.The butterfly mechanism flips open smoothly and easily, revealing the spring-loaded needlenose pliars. The titanium nitride coating keeps the frame nice and scratch-free. Wire cutter and crimpers on the needlenose pliars. Drop point style blade-2-1/8”-Nice design, but again, very very short. All blades and other items lock in the open position, and never pull along another item, no matter how dirty they are, thanks to some cleverly designed spacers. 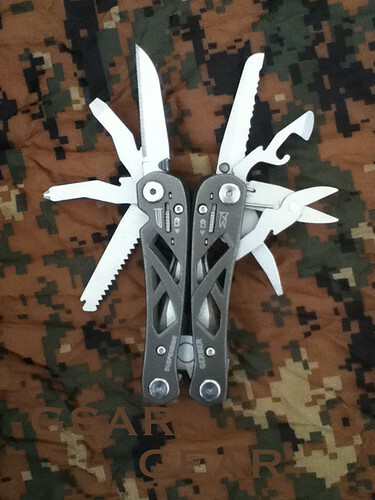 The pliars, unlike most of the Gerber lineup open in a butterfly motion instead of the usual slide-up action. They’re extremely nice to use, the springs are just the right tension, nice and crisp, but not too difficult to press at all. The blades, as mentioned before, are very short to do any sort of serious field work, but they seem sturdy enough. The blades and scissors lock in the open position, and unlock using two safety sliders on the sides of the suspension. These are a pain to operate, but you get used to it. The Suspension is a very nice and good-looking multitool. However, I don’t think it’s really cut out for heavy field work. The tools are just too short and stubby to really hack it for really heavy work. The screwdrivers are a marked improvement over other gerber ones I’ve used, and the wire crimpers and cutters work really well. 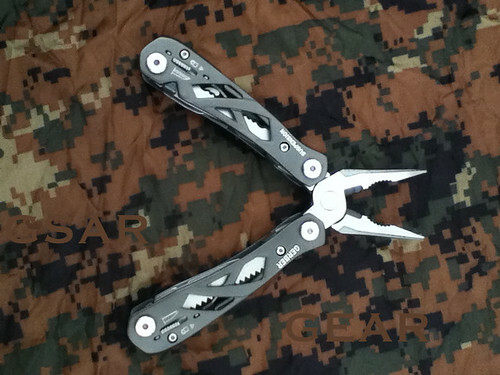 At ~$30, it is a very nice general use solid multitool, definitely worth getting.